For a report on the program as completed, see Courant 7, pp. 15-22. 14:15 Suggested flight: Northwest Airlines flight NW 37 from Amsterdam to Boston (not included). 16:05 Arrival at Logan Airport. 17:30 Check in to hotel. Members of the Boston art community have been invited to see the exhibition from that hour on. Study trip participants who are already in Boston can make their way on their own to the venue of the exhibition. 18:30 The rest of the group meets in the lobby of John Jeffries House to leave for the club. 19:30-21:30Dinner offered by Leena and Sheldon Peck and Naomi and Roger Gordon at the club. Male participants note: the St. Botolph Club requires that you wear jackets and ties. 21:00-23:00 Exhibitions remain on view. Visits to the permanent collection and paintings reserves, guided by Ivan Gaskell, the drawing collection, under the care of Bill Robinson, and the prints, which are the preserve of Jerry Cohn. She will show the Light-Outerbridge collection of 16th- and 17th-century Dutch and Flemish landscape prints, a refined and specialized collection including some wonderful rarities and outstanding impressions. For these visits the group will be divided in two and will change places around 11:15. 12:30 Lunch in the Sert Gallery Café, located in the Carpenter Center for the Visual Arts, the only building in North America designed by Le Corbusier. 14:00 Free time in Cambridge for the other Harvard University Art Museums, a walk around the campus of Harvard University, visit to the Widener Library, or a look at the bookstores on Harvard Square. 16:00 By bus to Newton for visit to collection of 17th-century paintings and drawings of George Abrams and his late wife Maida. 18:30 Dinner is offered by George Abrams at his home. 20:45 Bus back to John Jeffries House. 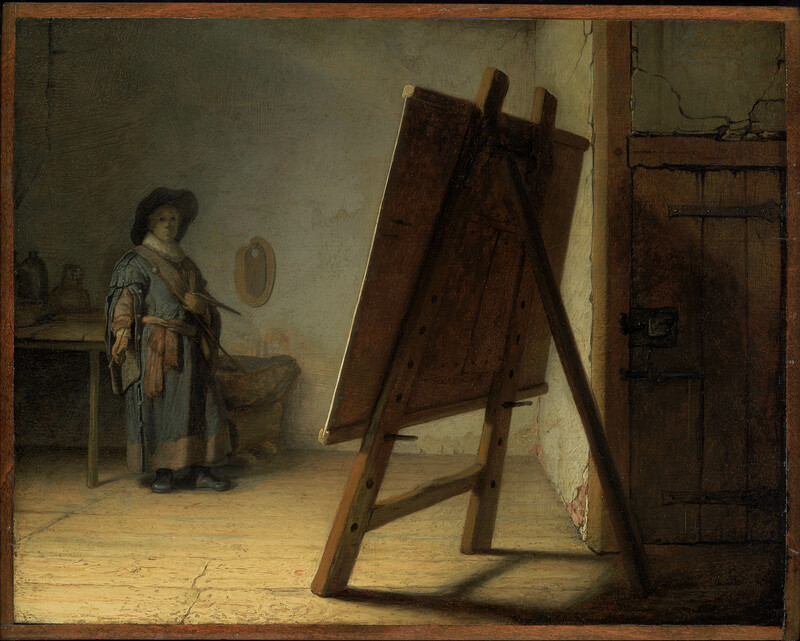 MFA curators will await us there and bring us to Rembrandt: painter, draftsman, etcher. Visit to exhibition and general collection. 12:00 Ronni Baer will meet the group at entrance to Rembrandt exhibition and bring us to Trustees Room, where lunch will be offered by the MFA (courtesy of Restaurant Associates). At lunch there will be discussion of the exhibition, moderated by Gary Schwartz. 13:00-16:30 The painting reserves will be shown to us by Ronni Baer, the conservation lab by Rhona MacBeth and the department of prints and drawings by Cliff Ackley and Tom Rassieur. Additional time for general collection. General visit and reception, met by our member Alan Chong. Although some of the greatest of the Dutch paintings in the museum are missing since the theft of 1990, the visit is of importance for the place of Dutch and Flemish art in an authentically preserved early 20th-century collection. 18:30 Departure by taxi for hotel. The Somerset Club is in distance of a pleasant walk from the hotel. N.B. From the Club Policies: “The use of nametags is strictly prohibited. 9:00 Departure in two vans for Manchester. 10:00 Visit to painting collection of Jim Mullen and Nola Anderson. 13:00 Lunch and visit to collection of Eijk and Rose-Marie de Mol van Otterloo). 17:00 Visit to Bob and Barbara Wheaton collection of 16th-century prints. 21:00 Return by van to hotel. 11:00 Visit to Anne and Peter Brooke collection of Dutch 17th-century paintings, Boston. We will be the guests of the Brookes for a light lunch. 17:00 Jim Welu offers reception and dinner at his home. 21:00 Departure by bus for hotel. The group will be admitted before opening. Since the Straus is located in a high-security facility, the doors will be closed behind us. Latecomers will not be admitted until the regular opening at 10:00. To mark the CODART study trip, the Straus has given priority to work on the Abrams donation of Dutch and Flemish drawings. 9:30-9:45 Welcome, brief history of the Straus Center by Henry Lie, Director. 9:45-11:00 Tour of the Center in two groups, demos of infrared reflectography and digital imaging. 11:40-12:30 Research and documentation of the Abrams Collection, Craigen Bowen and Katya Kallsen. 12:30-14:00 End of study trip, lunch at the Naumburg Room in the Straus Center. 14:00-18:00 Optional: bus charter to New York, leaving directly from the Straus Center. Arrival dependent on traffic conditions. Place of arrival will be in mid-town Manhattan, with access to taxis and subway. Location to be announced. 18:45 NW 38 Northwest Airline flight from Logan Airport, Boston, to Amsterdam. 18:00-20:00 a cocktail party held in honor of our visit by the Embassy Counselor for Culture of the Royal Netherlands Embassy, Jeanne Wikler, at her apartment in Chelsea. To gain admission to the Metropolitan Museum, show your study trip badge at the Group Registration Desk in the main lobby of the Museum (not at the cash registers). The Group Registration Desk is at the left when you are facing the stairs. At the Cloisters, an admission button from the Metropolitan Museum may be used. If you do not have one, ask the attendant at the cash register to call the Education Dept. at extension 2280 to confirm your admission and be given a button. The contact person in the Education Dept. is Douglas Dukes. Note that both museums are closed on Monday. Note that the museum is open on Tuesday the 4th, which is Election Day, only from 13:00 to 18:00. On other days the opening hours are 10:00-18:00. The Frick Art Reference Library is one of the premier research facilities for Dutch and Flemish as well as other schools in the United States. It is the only site worldwide with J. Michael Montias’s complete database of 1100 inventories from the Dutch archives. The database will be demonstrated during the visit. 14:30 Up to ten participants are invited by Michiel Plomp to visit the drawing study room of the Metropolitan Museum of Art. He will show and comment on recent acquisitions of Dutch and Flemish drawings. The group will present itself at the group desk in the main lobby of the museum, to the left as you face the steps.